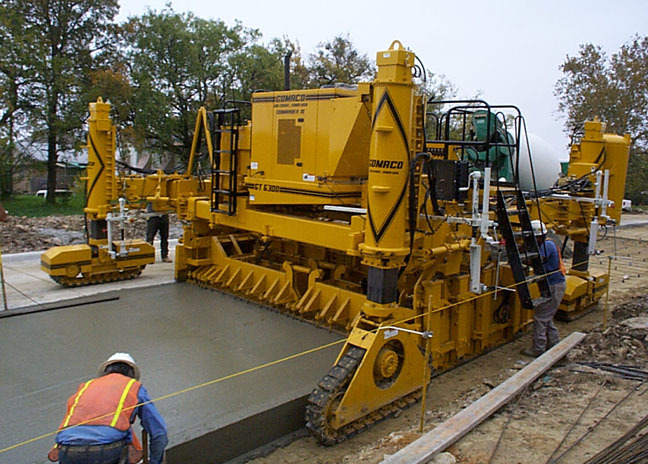 Specializing in underground utilities and concrete paving, ninety percent of Jackson Construction, Inc.'s, work is tight clearance paving projects. They needed a machine that could pave through the challenging clearances. "We were looking for a machine specifically that would have a small clearance from the back of the curb to, on this project, water meter boxes," said Troy Jackson, vice president of Jackson Construction. Working closely with GOMACO and their district sales manager, Ken Kelly, a solution was created. A four-track Commander III was fitted with a high-drive track on the back right side of the machine. The new track would allow the Commander III to pave through clearances as small as 305mm (12 in). The new tri-track was put to the test on Merrick Street in Fort Worth, Texas, on a nine month project that began in November 1998. 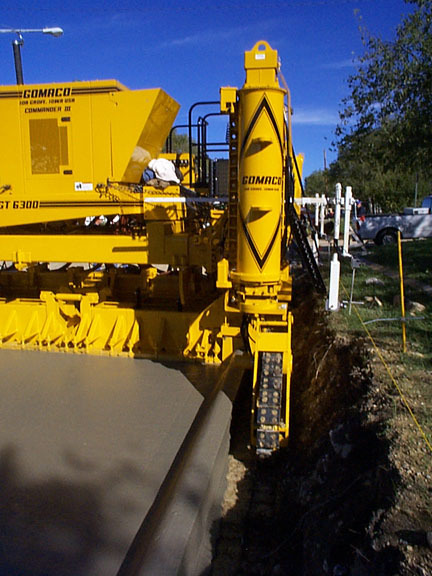 A total of 1219m (4000 ft) of street with curb and gutter will be poured simultaneously. The slab itself is 152mm (six inches) thick and 9.45m (31 ft) wide. 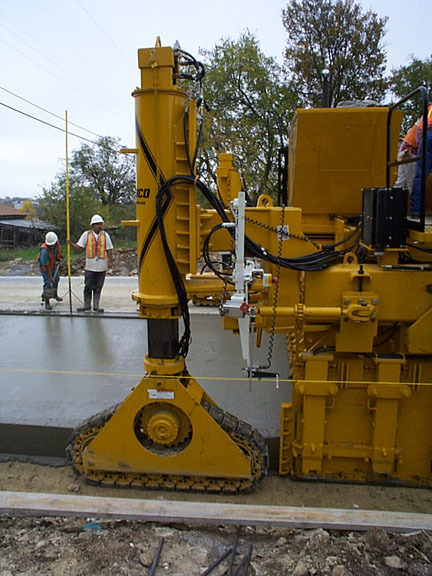 The concrete is a 21MPa (3000 psi) mix. Jackson Construction is based out of Fort Worth, Texas.